Head coach of the Super Eagles, Gernot Rohr, has explained that a knee injury stopped Hannover’s Noah Joel Sarenren Bazee, from making his debut for Nigeria against Senegal on Thursday. Bazee was a doubt for the international friendly at The Hive in London, as he was unable to participate in full training because of the injury. 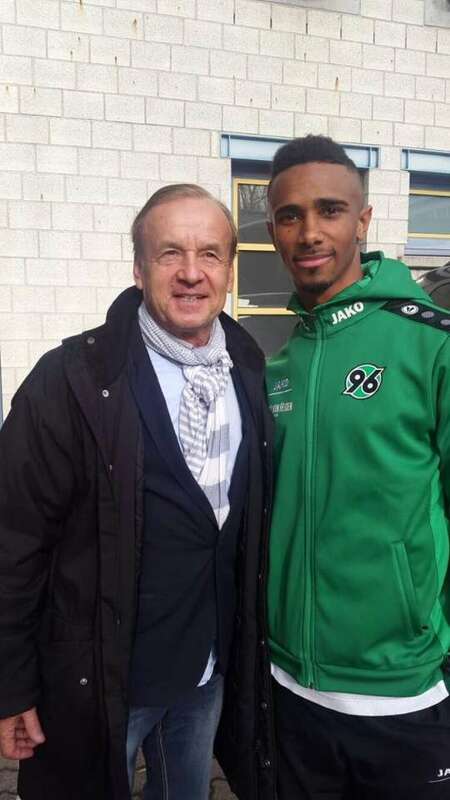 “Noah came with a knee injury and could not train together with the team so far,” Rohr told Hannoversche Allgemeine. Rohr was hopeful that Bazee would recover in time for the Burkina Faso match, but the game has been cancelled. This means that the player would have to wait until the 2019 Africa Cup of Nations qualifier against South Africa in June, to make his first appearance for the national team. The 20-year-old was cleared by FIFA to play for the Eagles earlier this month. Bazee was born to a Nigerian father and a German mother, making him eligible to play for both countries.